the road is made by walking. that must never be trod again. Only wakes upon the sea. **A quick apology to those of you who may have received an erroneous notification from WordPress yesterday about a new Going Glacial post. Technology briefly got the best of me. With the turning of leaves from vivid green to fiery shades of red, yellow, and orange, and the first dustings of white gracing our highest peaks in the West, I am suddenly made aware of the imminent change in seasons (and thus, of the pressing need to at last emerge from blogging hibernation). The summer of 2012 in the Salt Lake Valley proved to be a scorcher, with record-high temperatures and raging wildfires prompting steady use of air-conditioning, ample ice cream consumption, escapes on-foot and on-bike into the high-alpine enclaves of the Wasatch, and, quite often, more dramatic excursions to mountains, lakes, sea, and even to overseas snow for those changes in scenery so integral to satisfying the daily leaps and bounds of my imagination. The mountains climbed, food (as well as snow and dirt) tasted, conversation and company experienced, and languages spoken during these toasty few months have all done their part to contribute to a fulfilling and high-adrenaline, if not eclectic, summer, and to a compel a new period of hibernation for early autumn writing, picture-making, and editing…perhaps even before those fiery leaves fall to the ground and our beloved mountains welcome the graceful falling of snowflakes and make way for the delightful cold of winter. 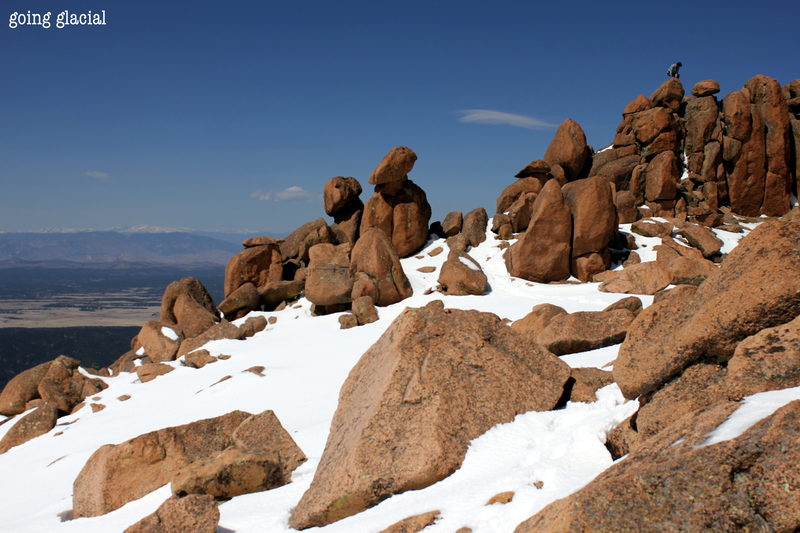 Red rock reconnaissance on the flanks of Pikes Peak after a day of bouldering and climbing in the Pike National Forest. 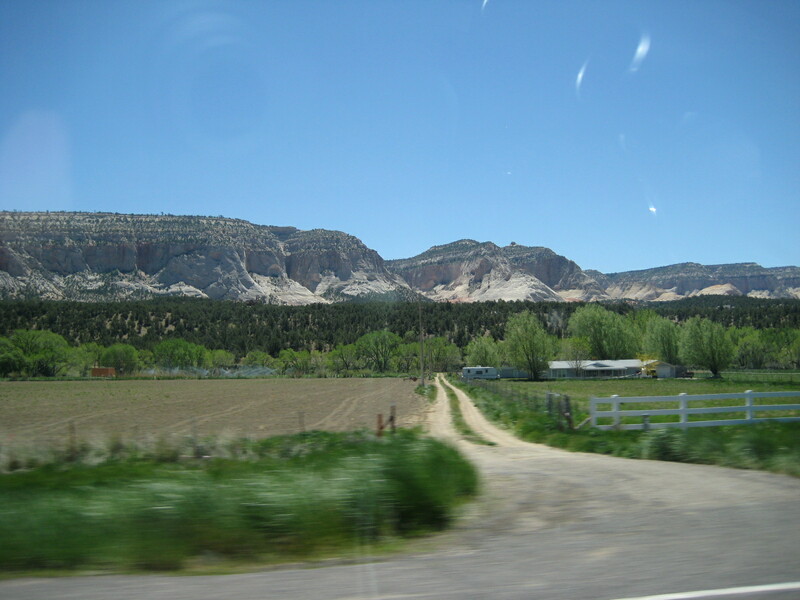 Near Manitou Springs, Colorado, 04.2012. May in Half Moon Bay. 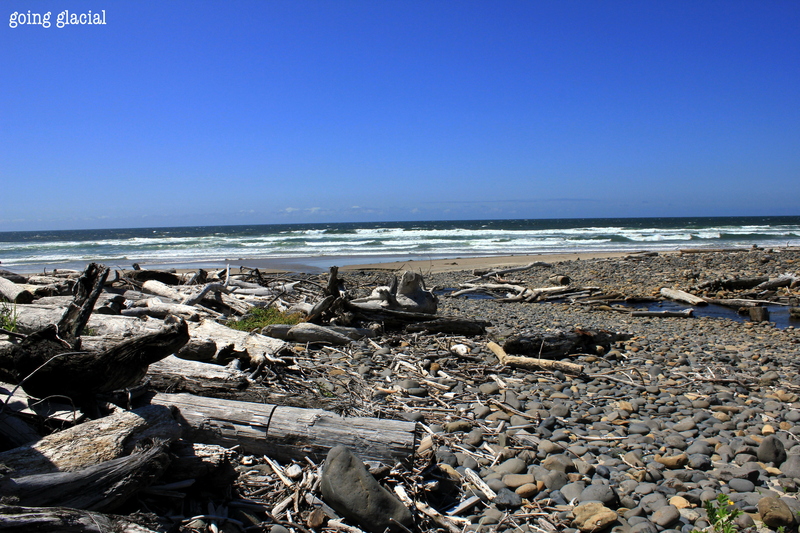 Seeking opportunities for exfoliation and exploration on the Northern California coast, 05.2012. 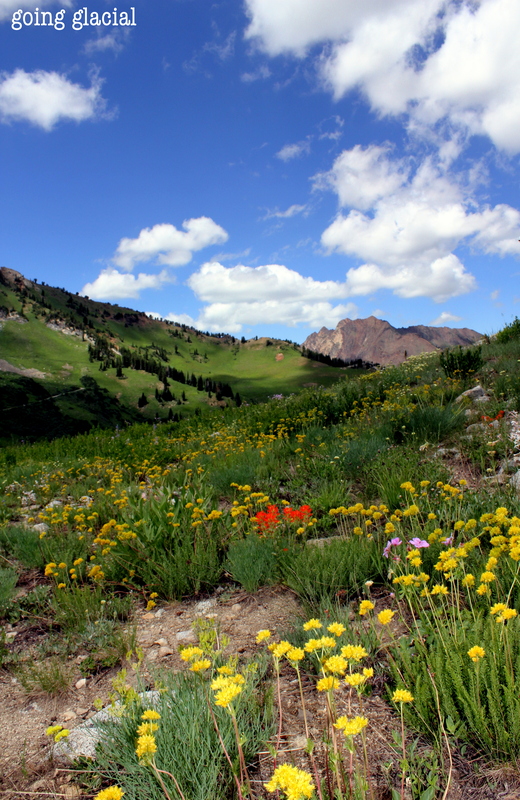 Record “low” snowfall during the 2011-2012 ski season (a meager 400 inches), alongside rapid melting from ample spring sunshine, made way for an early show of Little Cottonwood Canyon’s riotous wildflowers in mid-July. 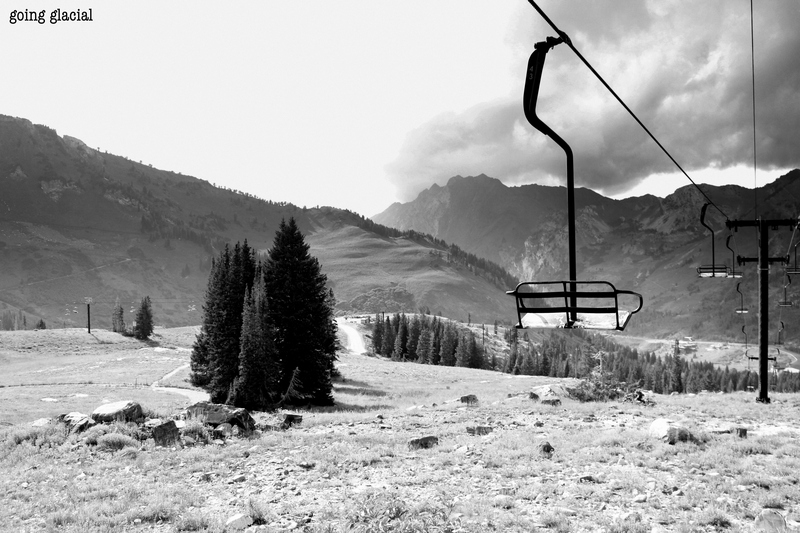 Snowbird, 07.2012. On an innocent Thursday night in early July, I sat with a good friend in a popular Mediterranean restaurant in Salt Lake City, devouring hummus with piping hot pita, sipping potent Armenian beer, and, inevitably, travel-plotting. Early the next morning, we hit the road, mountain bikes, comparatively uninteresting Utah beer, and a puny, single-wall tent in tow, en route to Jackson, Wyoming, and Grand Teton National Park. While we initially fancied ourselves clever for dodging a grim Salt Lake City forecast, we soon found ourselves in the midst of classic, but nonetheless epic, Teton summer thunderstorms, strong enough to frighten even the bison that linger near the shores of Jackson Lake. The clouds parted for a few photogenic moments as we hit the trail with plans to complete an epic loop linking Paintbrush and Cascade Canyons. While menacing clouds ultimately turned us around near the lush shores of Holly Lake, decorated with rampant wildflowers, our quick bolt back to Jackson and a subsequent feast on bison sausage-adorned, hand spun pizza and full-strength Wyoming beer were satiating enough. 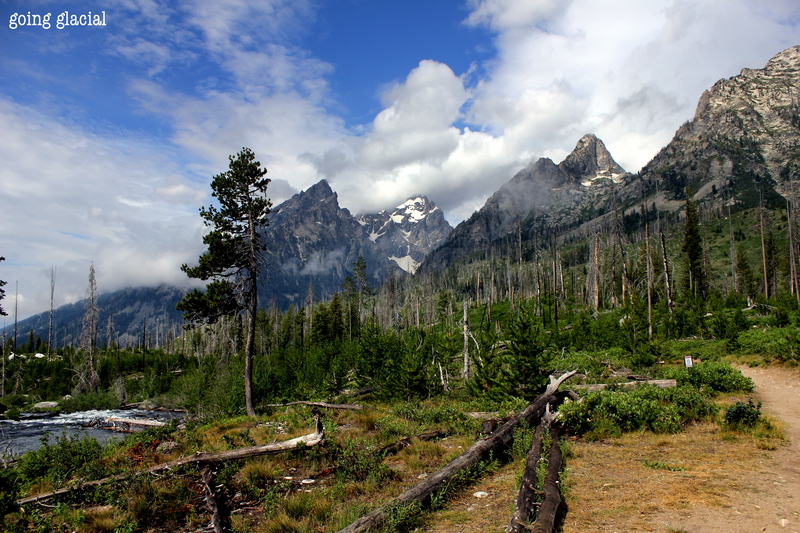 Grand Teton National Park, 07.2012. 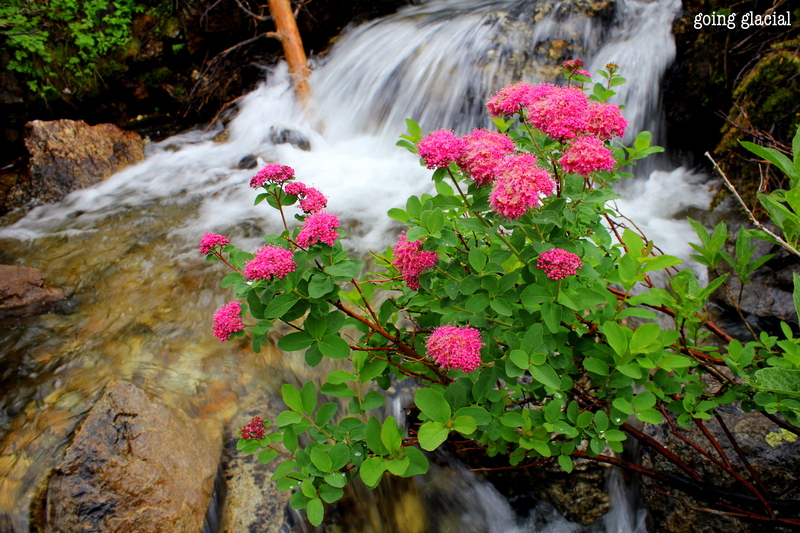 Pink petals and a burbling mountain brook lined the rigorous switchbacks up Paintbrush Canyon, providing a natural distraction from the ominous thunderheads. 07.2012. 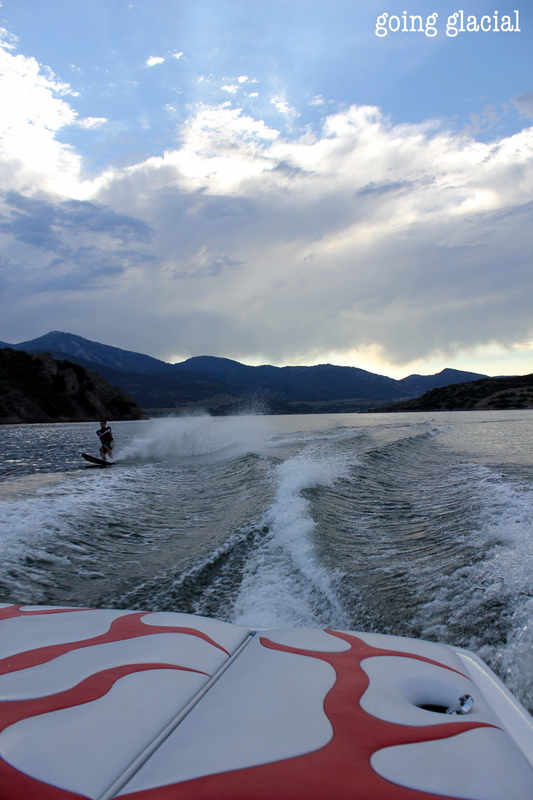 Back in Utah, I welcomed my family for on-trail delights in the Wasatch, July 4th revelry, and a sunset trip to Jordanelle Reservoir for an evening of waterskiing with convivial conversation, retro wetsuits, and, par for the course, evening thunderstorms. 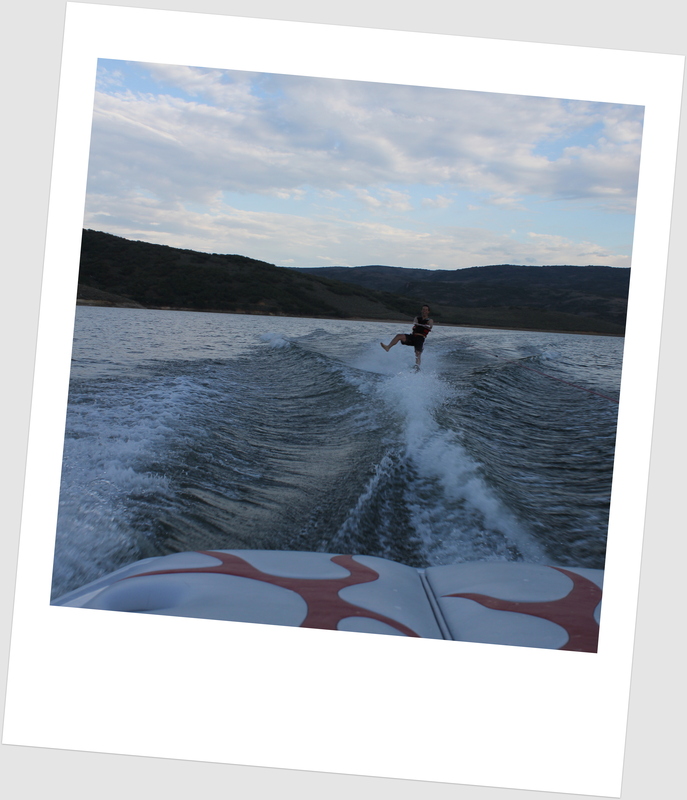 Once the thunderheads had passed, I plunged into the water, skis, wetsuit, and all, ready to reinitiate a long-held tradition of summer slalom waterskiing. I lasted all of five impressive seconds before some serious muscle spasm in my hip took me down in the middle of Jordanelle, cause unknown (although weeks of mountain biking without sufficient stretching followed by a random waterskiing session seem plausible culprits). While I certainly took pleasure in watching my family glide over glassy waters as the clouds moved east and as the sun hung low over the verdant hills, I focused my reserves of energy on looking forward to a certain Johnnie Walker Red to help ease my age-inappropriate hip pain. Jordanelle Reservoir near Park City, Utah, 07.2012. You can’t claim true familiarity with the state of Utah without knowledge of Pioneer Day, an ode to the state’s Mormon heritage, an institution in the state’s cultural mythology, and a “follow-up” holiday of sorts that actually seems to eclipse our celebration of nation on July 4th. Rather than hang around a town for what local ski bums have affectionately (or perhaps offensively) dubbed “Pie and Beer Day,” a friend and I took to the road on the Friday preceding the long weekend, mountain bikes perched on the back of the car and trunk stuffed with sleeping bags, tents, helmets, and an oversized cooler bursting with exuberant quantities of hummus, avocados, salami, cheddar cheese, and Clif products of various shapes and sizes. 700 miles, several shrimp burritos, and a few too many car games later, we found ourselves in the outdoor enclave of Bend, Oregon, at the unholy hour of 3:00 a.m. After catching a few hours of much-needed shut eye in an RV parked haphazardly in a friend’s driveway there, we initiated an action-packed weekend of mountain biking, beer drinking, dirtbag camping, and spectating a rowdy criterion (a genre of road bike race). Rather than opt for a day of rest after a character-building mountain bike ride of 27 miles among the lava fields and lush vegetation that line the banks of the McKenzie River, we convinced ourselves to drive further west–both to glimpse the famous Oregon coast in the town of Newport and to feast on fish and fresh brew at the Rogue Brewery, an ode to Oregon beer heritage and the purveyor of a certain Hazelnut Nectar Brown Ale. Suffice it to say that the nectar flowing at Rogue provided ample distraction from our hefty task set for the Pioneer Day holiday–making the ~900-mile trek back to Salt Lake City in time to go to work, to seek out pie leftovers from local “pioneers,” and to place our treasured trove of fresh Oregon brew on ice. “Good to Sea,” Newport, Oregon, 07.2012. Backyard bluebird. 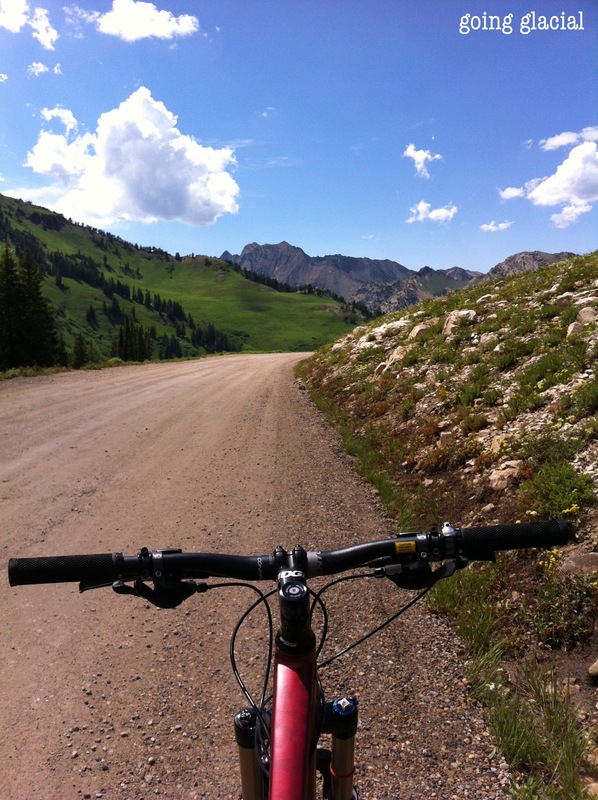 Despite my persistent state-hopping and travel-plotting, I reserved plenty of summer afternoons for two-wheel playtime among the craggy limestone peaks, riotous wildflowers, and high-alpine lakes of my own Little Cottonwood backyard. Alta, Utah, 07.2012. 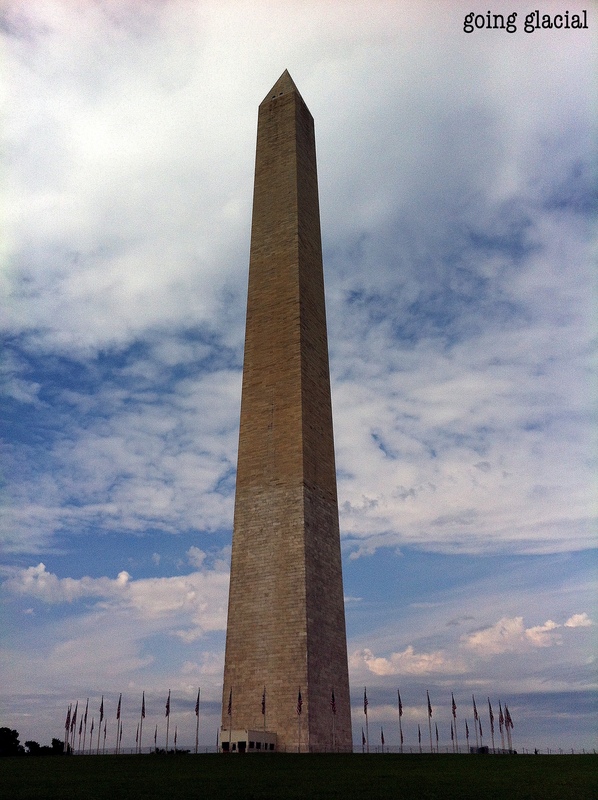 On a whirlwind research trip to Washington, D.C., at the end of July, I explored the concrete, albeit humbling, environs of the National Mall, indeed protected and preserved by the National Park Service. I escaped the windowless confines of my research room at the Library of Congress for an early-morning stroll with all-too-potent coffee and a strange amalgam of American history tidbits and the lyrics to “Wagon Wheel” swirling in my tired head. Washington, D.C., 07.2012. Wildflower welcome. 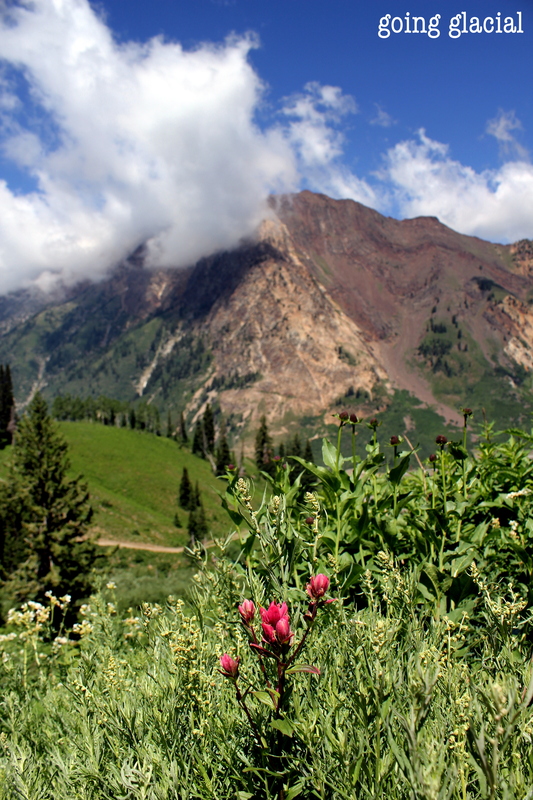 Despite my persistent travel-plotting and state-hopping, I made haste back to Alta to catch a glimpse of Little Cottonwood’s yearly explosion of riotous wildflowers. Albion Basin in the majestic presence of Mount Superior, Alta, Utah, 07.2012. Back in the Salt Lake City vicinity after a wild odyssey through the mountains and desert of Chile (which surely merits its own distinct post on the wonders of summer turned to South American winter), I explored some singletrack only minutes away from and a few hundred feet above the swelter and bustle of the Valley. 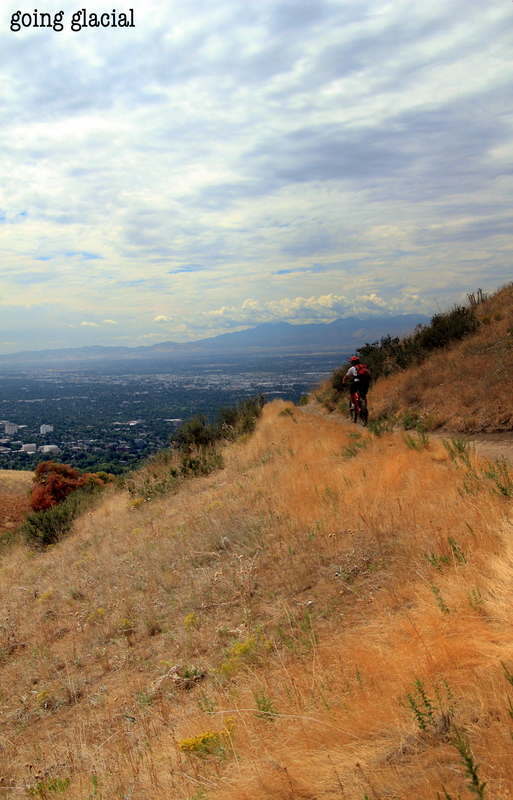 On the Bonneville Shoreline Trail en route to the famous, adrenaline-inducing Bobsled descent, Salt Lake City, 09.2012. 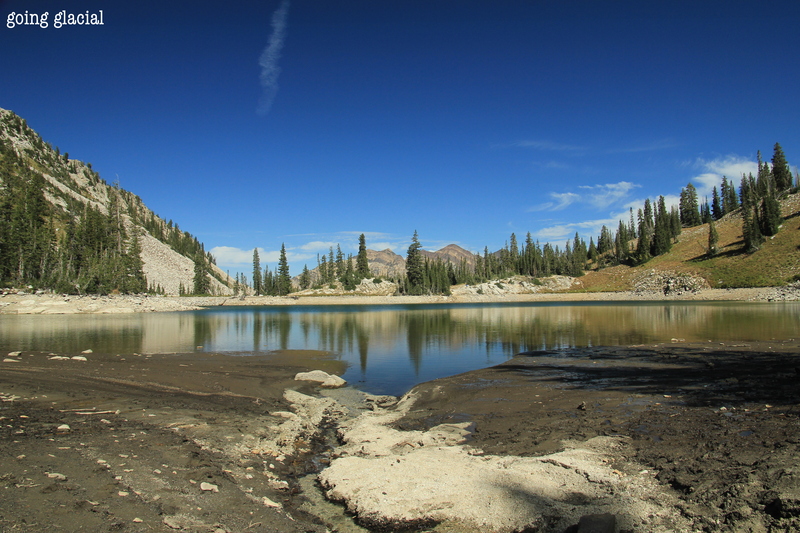 A visit to the dwindling waters of Red Pine Lake, perched high among the steep walls of Little Cottonwood Canyon and patiently awaiting rehydration by imminent snowfall. 09.2012. View from on high, from the summit of the Pfeifferhorn at 11,326 feet. 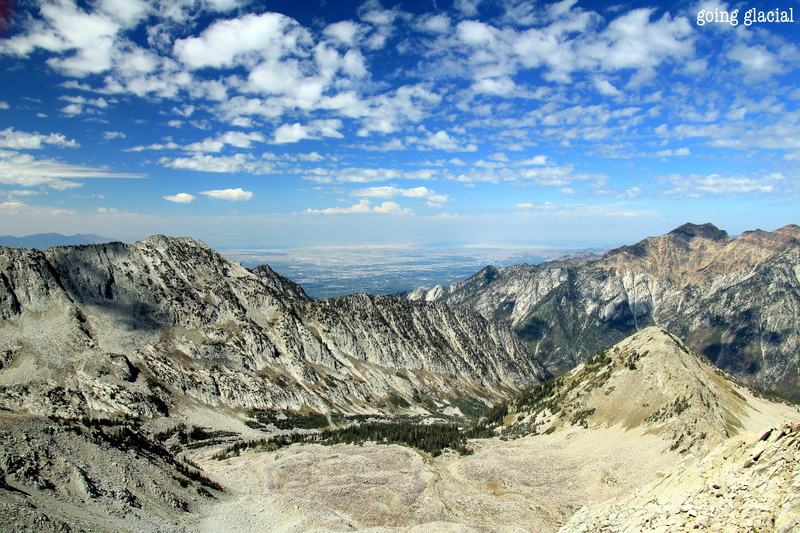 Little Cottonwood Canyon, 09.2012. Until the next…go on, get out there! 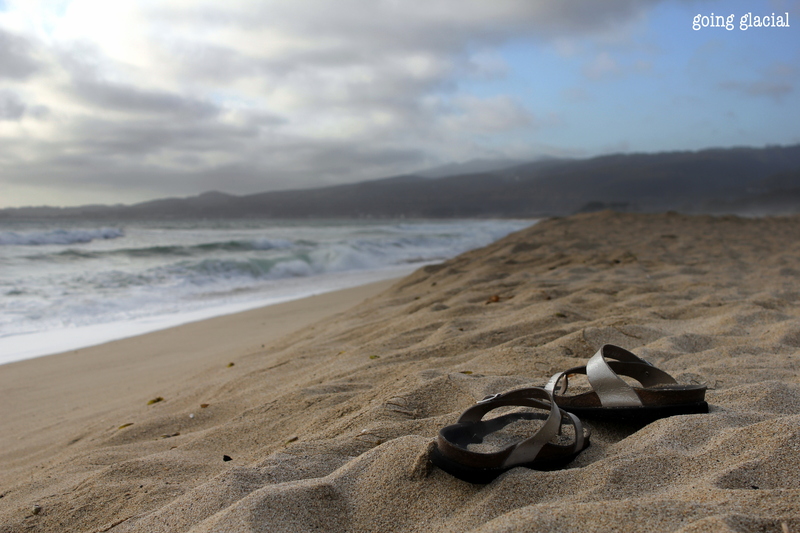 At long last, a few glimpses of 2011…and perhaps a word or two. 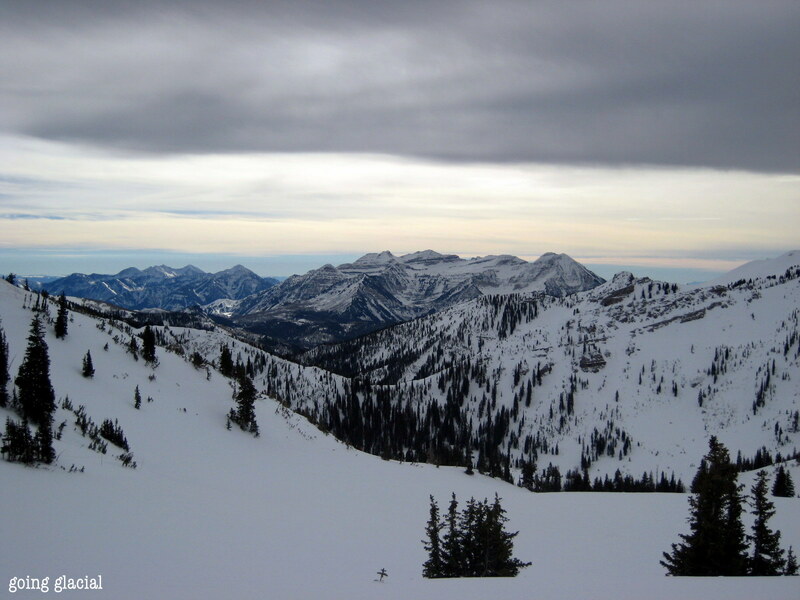 Shades of gray towards Mount Timpanogos, Alta, Utah, 01.2011. 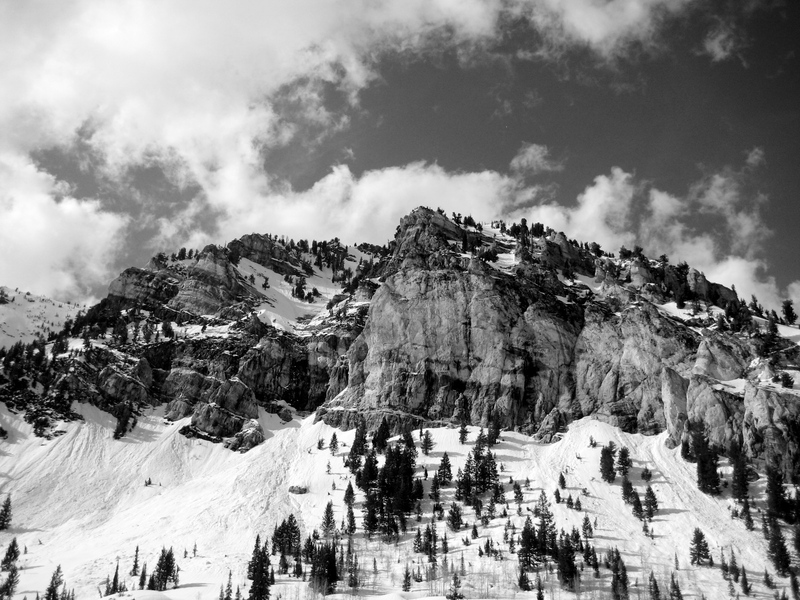 The famous Alta precipice during a graybird May, 05.2011. The clouds finally parted after upwards of 724 inches of fluffy powder had descended from the heavens. 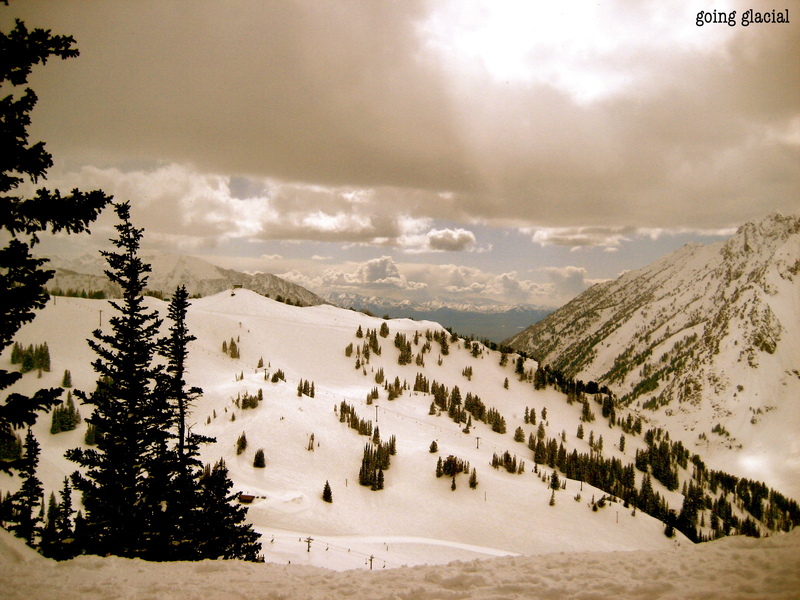 Faceshots were certainly in generous supply during the '10-'11 ski season in Alta, Utah, 05.2011. 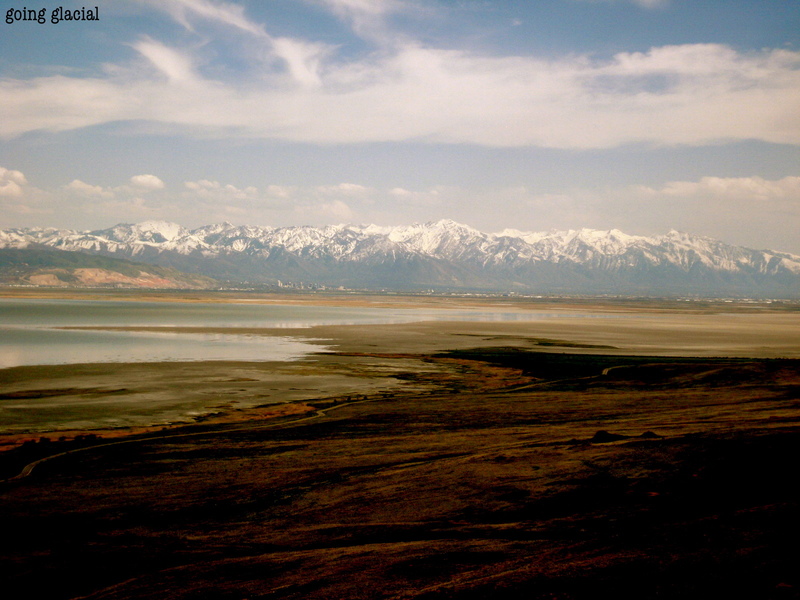 A multisport May vista: gazing towards the still-snowy Wasatch Front from the salty environs of Antelope Island, north of Salt Lake City, 05.2011. 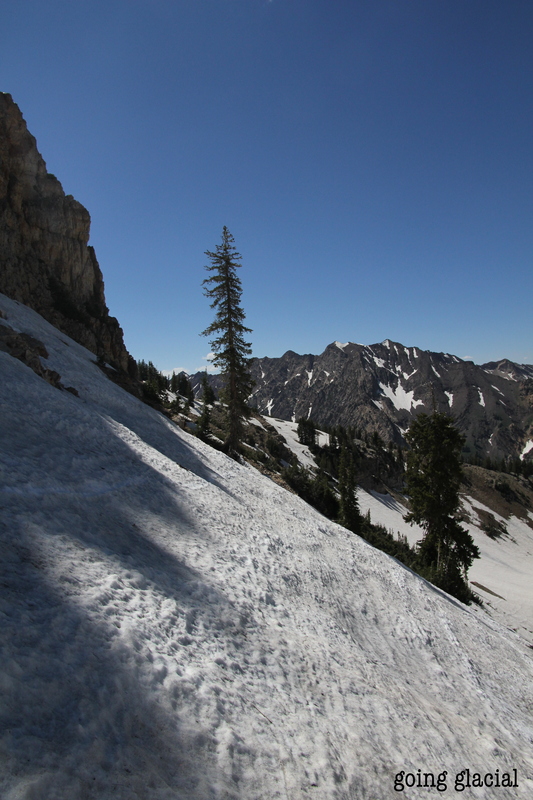 After a shotgun trip to Corsica in June (which I promise to soon report on, albeit almost a year too late), I returned to the cozy contours of Little Cottonwood Canyon in mid-July to find snow lingering at the base of Alta. Before finally stashing my skis for my trail-running shoes, I made the foolhardy decision to make my first-ever summer ski descent...solo. Needless to say, summer snowpack isn't quite like the fluffy stuff of the gods that falls from the sky during the winter months proper. I snapped this shot of stunning Mount Superior and the pristine bluebird after descending Main Chute from the summit of Mount Baldy at ~11,068 feet. There's a first time for everything. 07.2011. By September, the snow had, indeed, melted. Soon thereafter I found myself longing for this familiar landscape to once again be shrouded in white. 09.2011. 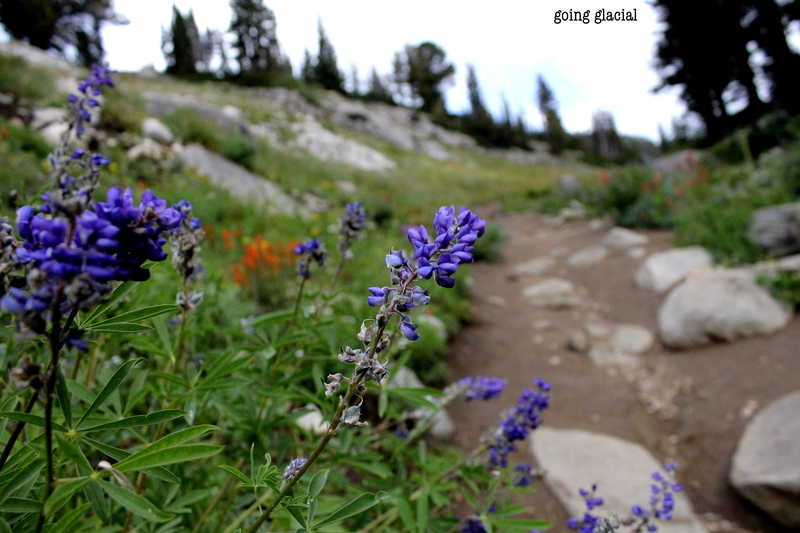 The snow may have overstayed its welcome last spring/summer (if there is such a thing), but it certainly hydrated the Little Cottonwood landscape for a riotous show of wildflowers come summer...in early-September. 09.2011. Just as I was starting to grow wary of graybird May, SK (ever my partner-in-crime) was forced to return to the States after the precipitous imposition of martial law in Guatemala. Rather than opt for a peaceful week of rest in snowy Alta, we rallied for a road trip down south to the North Rim of the Grand Canyon, complete with bottomless bagels, spreadable cheese, sausage rounds, warm beer...and scarcely sane plans to attempt an overnight assault into the steamy wilds of the Canyon from the North Rim to the Colorado River and back again (~32 miles). I would call this one a success. 05.2011. 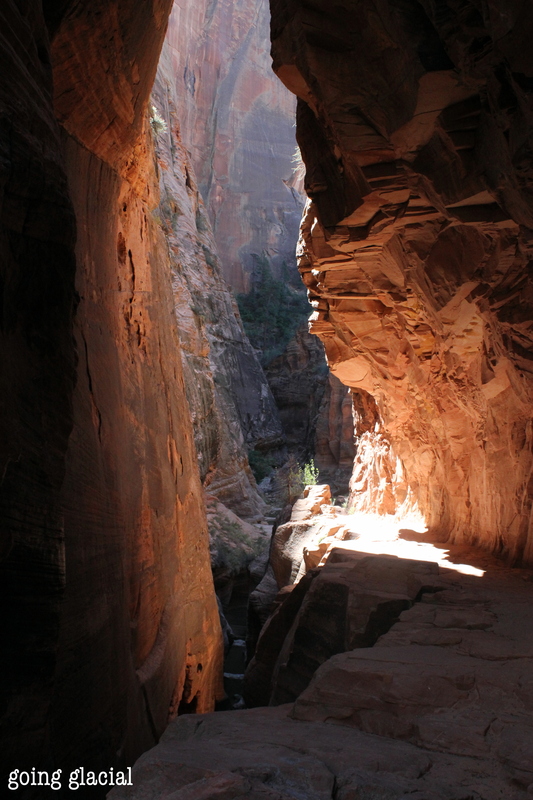 Reveling in red rock, Zion National Park. 09.2011. 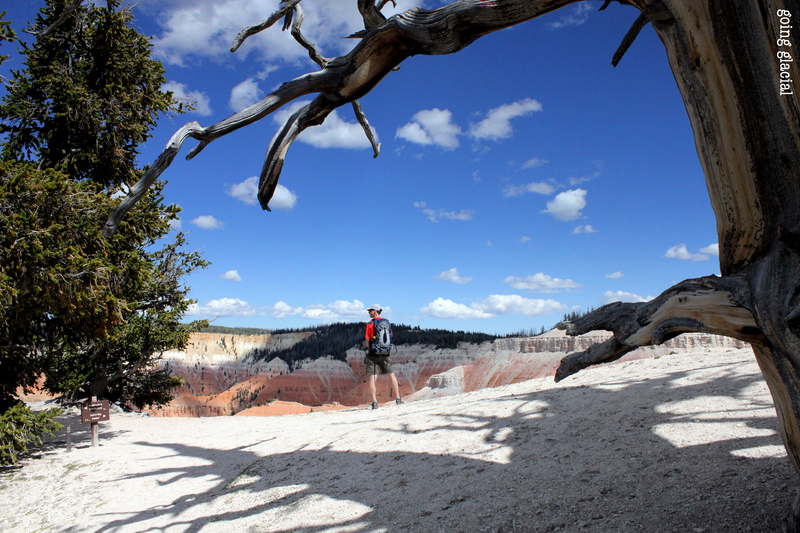 After the stunning, but crowded environs of Zion, we escaped and drove through the Dixie National Forest to Cedar Breaks National Monument, a landscape richly detailed by the beautiful juxtaposition of red rock amphitheatre, craggy hoodoos, and thousand-year-old bristlecone pine trees. The silence imposed by the ampitheatre served as a fitting bookend for a summer (and year) of high-adrenaline activity. 09.2011. 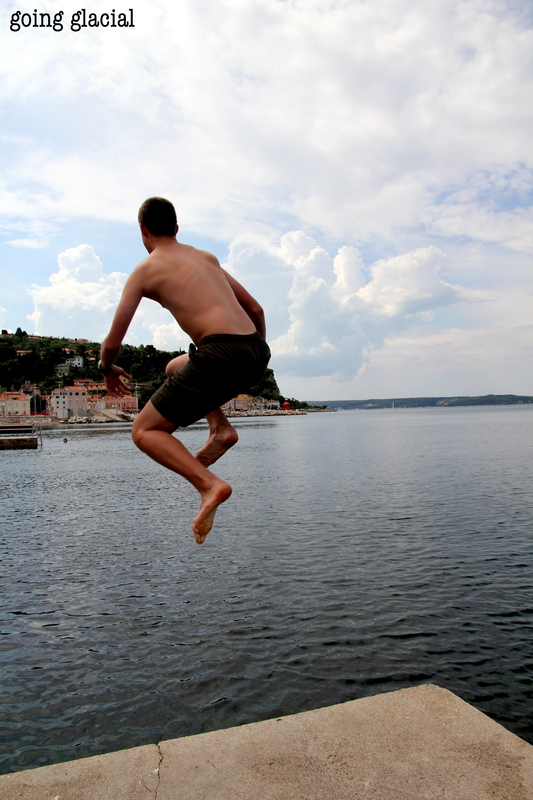 When life gives you lemons, go to Slovenia...and plunge into the Adriatic. Although SK and I were raring to hit the trail in the remote Valle di Natisone upon arriving in Trieste, Italy, last June, our exuberance was quickly deflected by the Italian Alpine Club (CAI)...and its rather eclectic conception of administrative efficiency. After all-too-proudly producing our completed applications for summer membership to CAI (which would earn us discounts at high-mountain huts in the Alps), we learned that we would be "forced" to spend an extra day in limbo as we awaited the return of the CAI official responsible for stamping our paperwork from holiday (seriously). By the time I finished moping, SK had already made plans to cross from West to East. 06.2011. Deflected travel plans soon turned to delight as we reveled in Piran's pastels...and Slovenia's signature Radler beverage, a refreshing concoction of grapefruit and tasty brew. 06.2011. 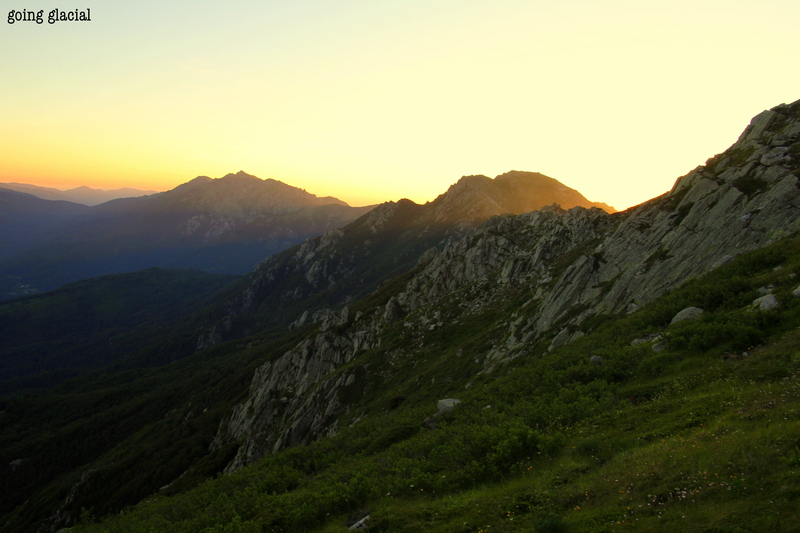 Life on-trail in the Alps is hardly rough around the edges. I had foolishly neglected to pre-load all of the necessary GPS data onto our device (thus rendered useless), so we found ourselves crisscrossing the Italy-Slovenia border on-foot during the full extent of an all-too-humid day. 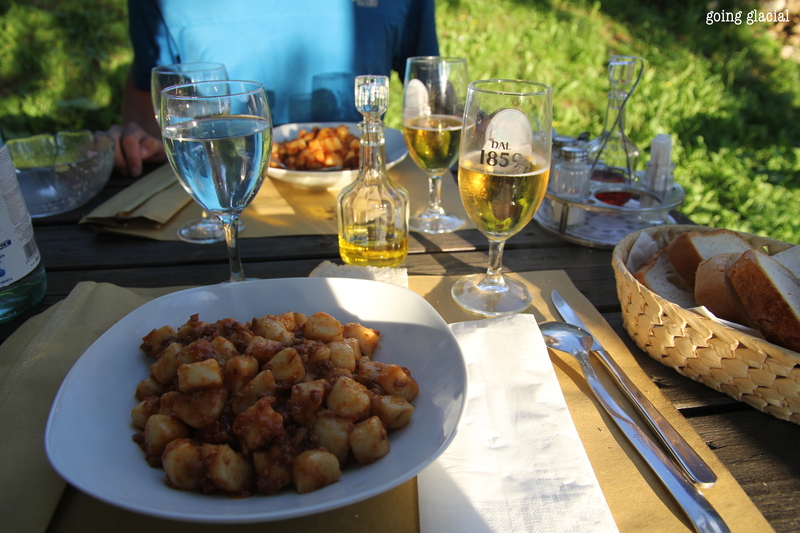 25 miles and 7,200 vertical feet later, it was time for piping hot gnocchi and a cold brew...or two. 06.2011. 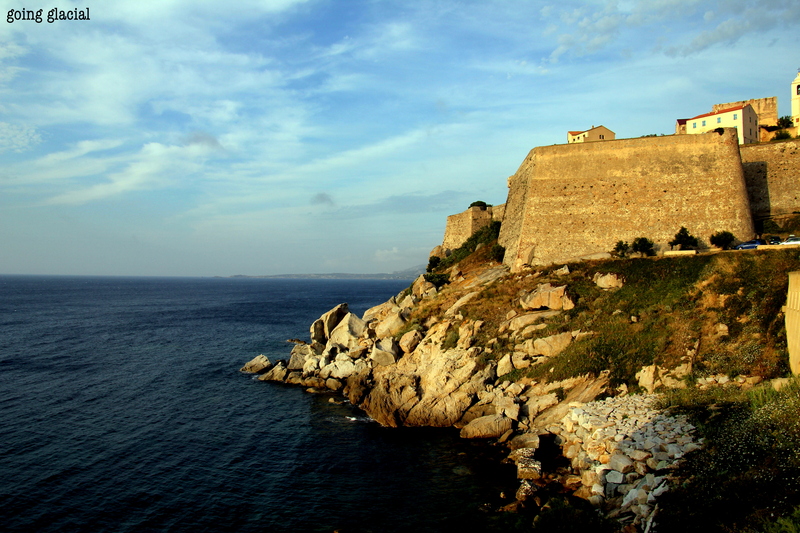 With the dollar dwindling (ours and the U.S. currency, more generally), we hopped on a cruise ship-worthy ferry across the Mediterranean to the posh--and craggy--island of Corsica, where we found ourselves to be among approximately 10 Americans who visit the island each summer. Something akin to "why are you here?" became our welcome refrain. The Mediterranean was certainly alluring in its sparkling shades of deep blue, but we immediately headed into the warm (110 degrees of dry heat warm) embrace of the Parc Naturel Regional de Corse. 06.2011. I will reserve the tale(s) of our ~130-mile-long ultra-hike across Corsica--and how it became a mad dash to compete with a troop of middle-aged, spandex-clad French ultra-runners--for a subsequent post. This vista bid SK and me goodnight as made the final preparations for a 32-mile-long, 8000 vertical feet day en route to Conca, the southern terminus of the ultra-competition. Nervous (and masochistic) laughter abounded. 06.2011. 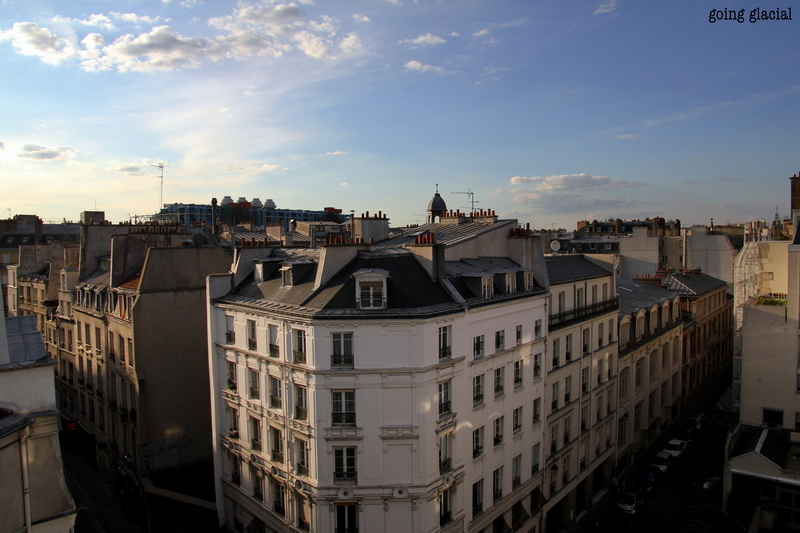 Looking towards to the Centre George Pompidou on a blissful Parisian evening from our budget hotel room. Not too shabby. 06.2011. 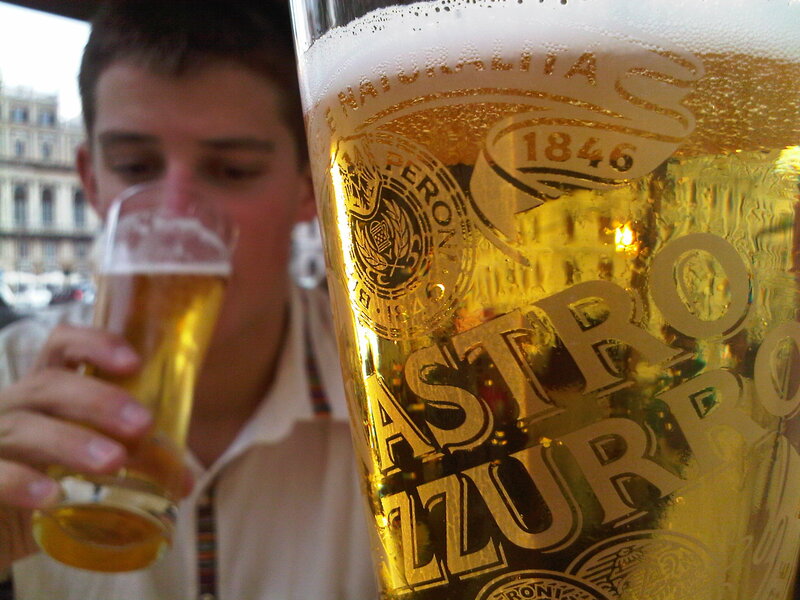 It's almost always a perfect moment for an ice-cold, tasty brew. 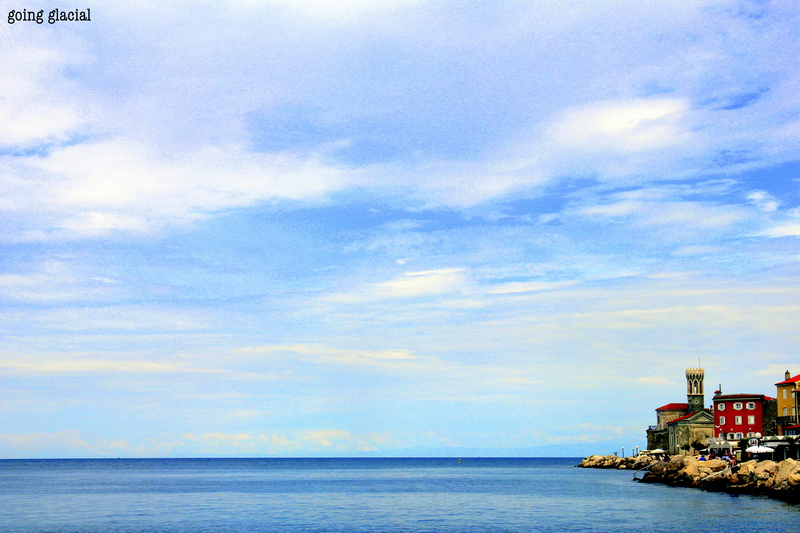 Trieste, Italy, 06.2011. 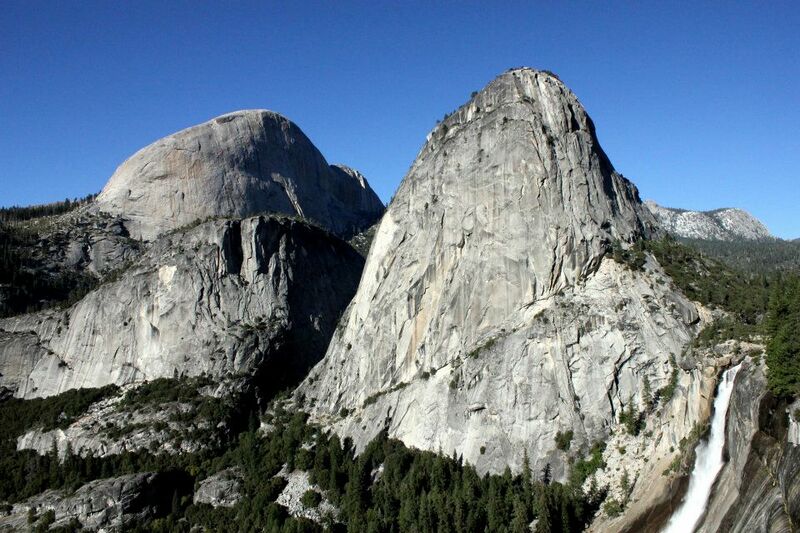 When our plans for an overnight ascent of Half Dome went awry (the September freeze hardly foreshadowed a frosty winter in the high-mountain West), we opted for a daytime stroll--and naptime--on the John Muir Trail. 10.2011. Just a little sur. 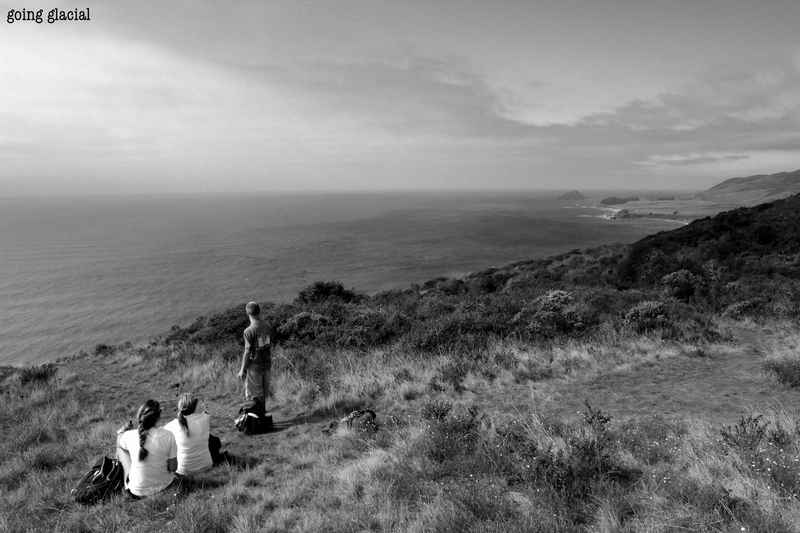 In awe at Andrew Molera State Park, Big Sur, California. 10.2011. 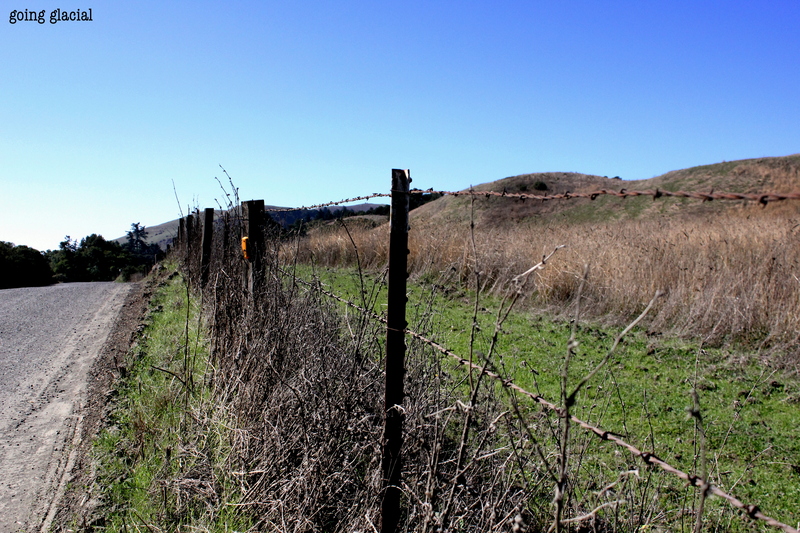 Hiding in the hills in Portola Valley, California. 11.2011. 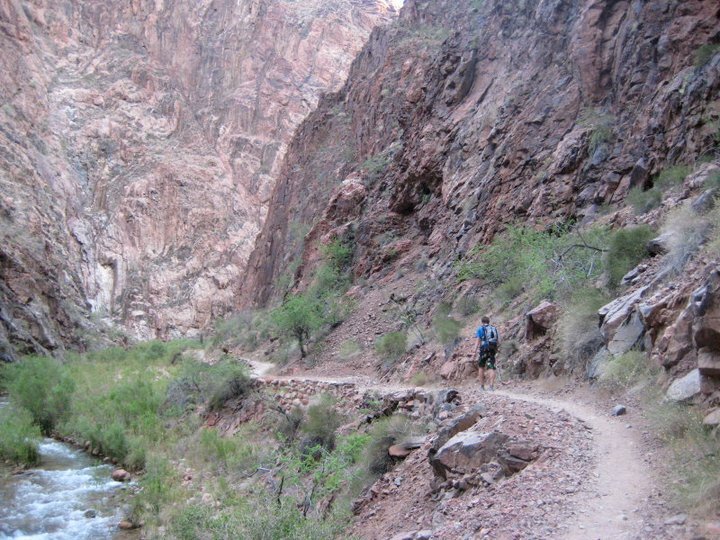 “Which, inevitably, started me thinking about long trails. I soon learned that fit hikers going überlight were sailing “America’s most beautiful trail,” as the JMT is often called, in just 10 days. A Muir Trail veteran told me that “30- to 40-mile days are totally doable.” Unfortunately, where another hiker might think that pounding out 31 miles a day for a solid week sounds just slightly over the top, I’m like Evel Knievel contemplating the Grand Canyon: My altered brain chemistry rationalizes, “How hard could that be?”. My sentiments exactly. With ample training, food, water, and planning, and perhaps most importantly, an early enough start time, what could possibly go wrong? Well, a lot…but then what is adventure in the absence of some genuine stumbling blocks? 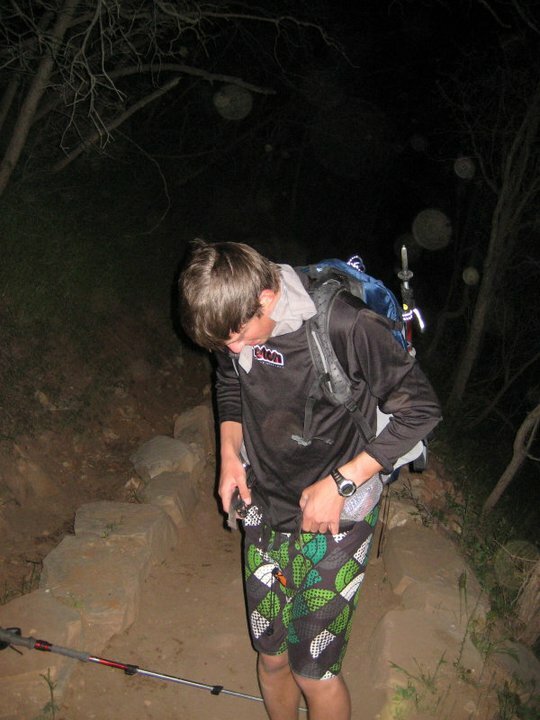 And furthermore, despite my friends’ chuckling and insistence that I am “insane” (or a “raving lunatic,” according to SK), I would haphazardly argue that I am simply dipping my duct-taped toes into the reservoir of possible “ultra-hiking” experiences. I am firmly in the camp of soaking up all the beauty, but I would offer the following: first, the possibility of achieving a fine and tangible balance between reveling in the natural splendor of your environs and maintaining quite a sustained pace; second, in accordance with the truism that “there’s a time and a place,” the consideration that fast-packing and “smelling the roses” are equally worthy, but are simply on different planes; and third, the premise that moving at a superhuman, almost-Dean Karnazes pace could somehow heighten the already-life-giving experience of being in and experiencing nature. Before heeding Lanza’s call to the wilds of the John Muir Trail (which doesn’t present any of the solar problems that reign high and mighty in the Grand Canyon and in similar environs), I may try my hands and feet at quite a craggy course across Zion National Park…start time, hours of car-sleeping, and quantity of sausage rounds to be determined. How hard could it be? Special thanks to a certain ZBOK for a steady stream of inspiration. For a clearer image of this terrain profile, click here. Disclaimer: I wrote this post from the comforts of my own bed with the shades safely drawn. SK peered mischievously over my shoulder as I perused the official Grand Canyon National Park website on yet another graybird Maybird day in Alta. Forced out of Guatemala by the imposition of marshal law in response to a massacre committed by Mexican drug lords in the northern Peten region, SK had traveled west to pay me a surprise visit during my last week in Little Cottonwood Canyon before heading to the Alps for the summer. 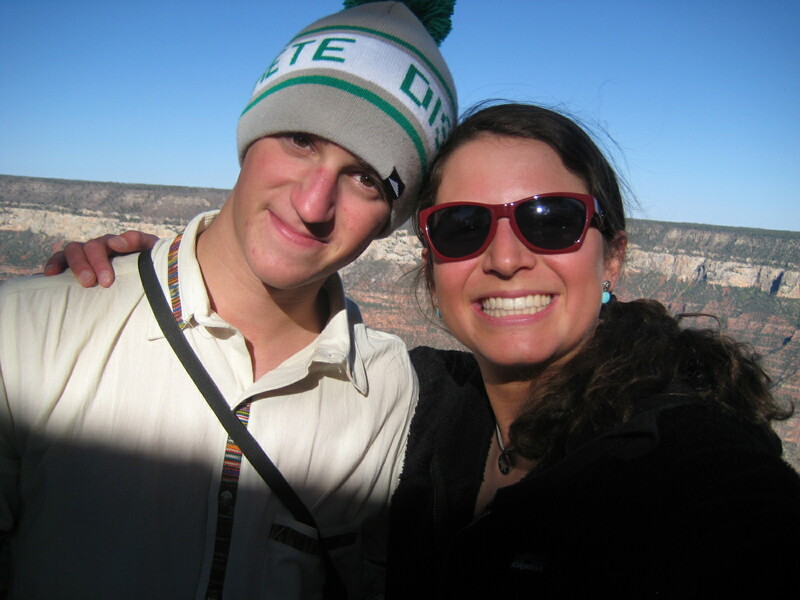 Needless to say, our adventure together–insane, impromptu, and a complete whirlwind–was quite befitting of the circumstances that brought an abrupt and unfortunate end to his travels in Central America. While SK had expressed enthusiastic interest in a quick trip to the stunning red rocks of southern Utah before organizing ourselves for an even grander adventure, I was markedly less exuberant. 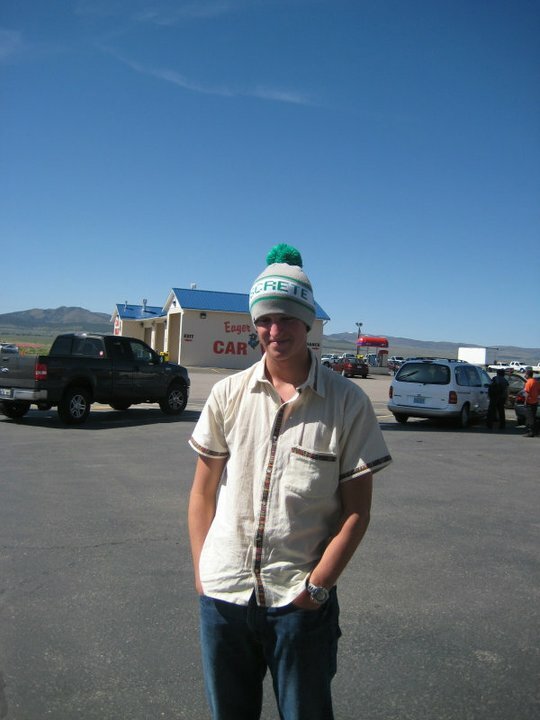 Upon leaving the Wasatch for a quick “holiday weekend” in sunny California in the middle of the ski season, I had fallen victim to an insufferable stomach virus that relegated me to a friend’s bed in a college dorm for 19 hours. (Of note: that is an extreme assessment from a lady who has battled GI distress in Africa, Asia, South America, and beyond.) 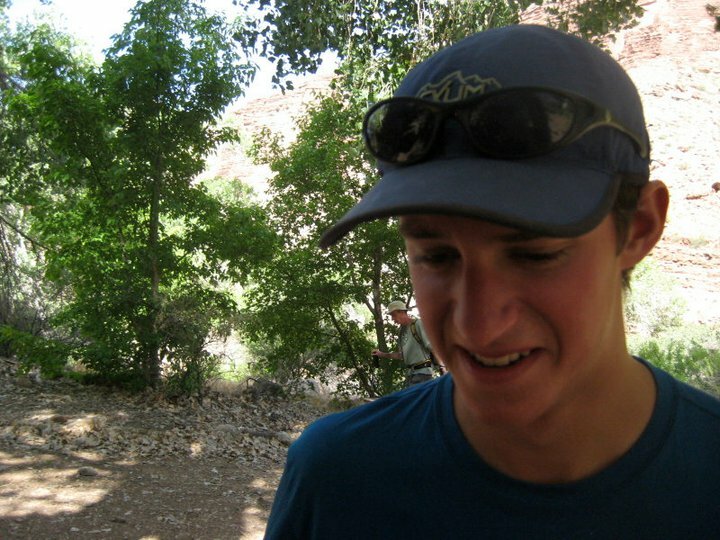 When SK spotted the above stern warning, which is issued in multiple locations on the official Grand Canyon website, he ruled out both the possibility of a few short, but rigorous hikes in Zion National Park and that of spending some time in our portable lounge chairs–footrests included–with ice-cold, ice-brewed beers in hand. The decision had been made…at least in SK’s mind. 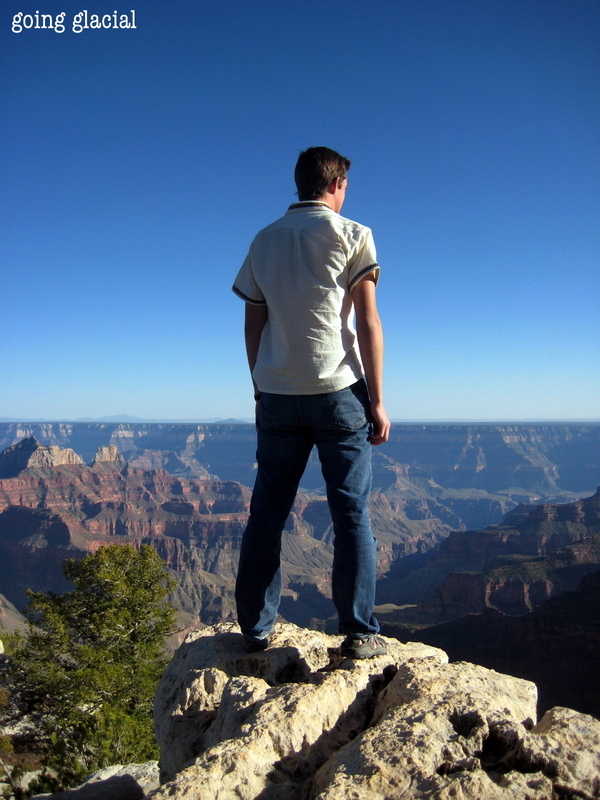 After fueling up in the bustling metropolis of Beaver, Utah, we decided to head to the North Rim of the Grand Canyon…and to go big…a framework that I would continue to attribute to–or blame on–SK. Lovely views abounded on the drive south. We were a bit bummed to be spending such a beautiful day on the road (especially in light of the persistent graybird Maybird weather), but we would soon get our fill…and then some. 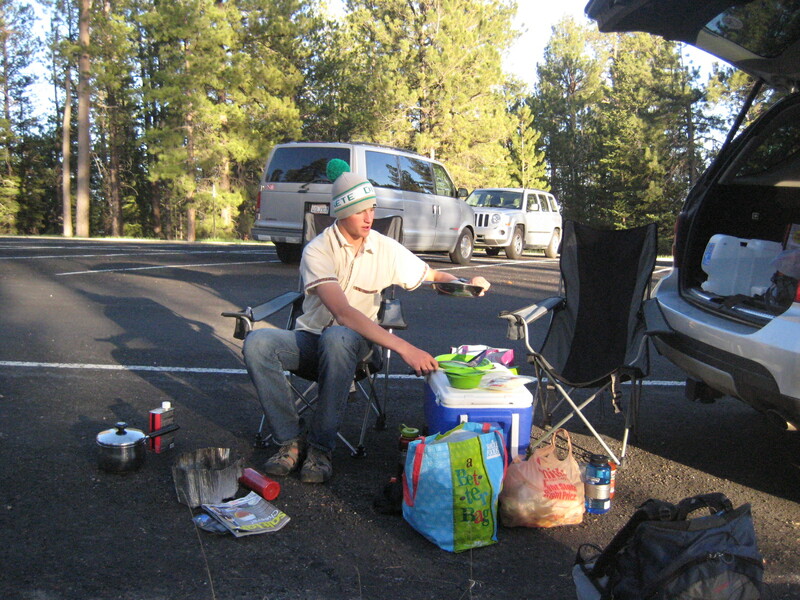 Upon arriving at the North Rim, we made tailgating and eating our afternoon priorities. 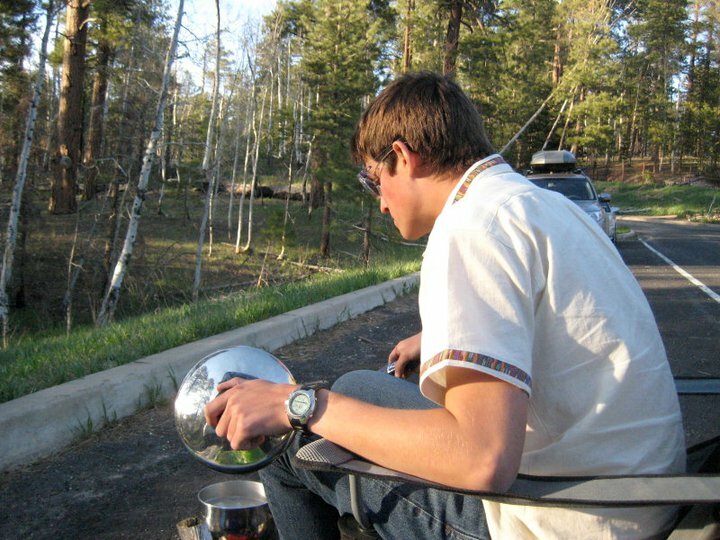 Despite the fact that we had eaten almost constantly during the six-hour drive to the North Rim, we figured that we should shovel in calories before setting out on the hike…which would surely dash our appetites. We felt somewhat out-of-place in our parking lot perch in the presence of camera-laden tourists and those who required golf-cart transportation to make the harrowing trek from the parking lot to the lobby of the not-so-swanky, but still-a-hotel Grand Canyon Lodge. Even so, SK and I cranked up some tunes, and set to work carbing up, hydrating, and packing in ungodly quantities of sausage and cheese. 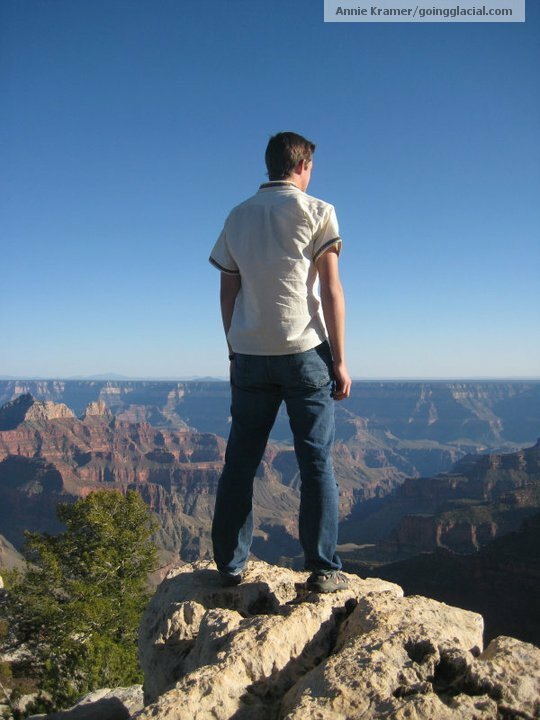 After satisfying our seemingly bottomless appetites, we made the tourist trek from the main parking lot to Bright Angel Point, a stunning viewpoint from which the North Rim falls precipitously away from higher ground. A National Park Service sign informed us that spotting the snow-capped San Francisco Peaks (visible in the distance in the above photo) proves a rare treat with pollution levels limiting the visibility of the horizon. I was excited to see some snow accenting the mighty red rocks–which represented quite a shift from my daily environs in the Alta white room. Sign at the Grand Canyon North Rim Parking Lot: SLEEPING IN CARS IS PROHIBITED. 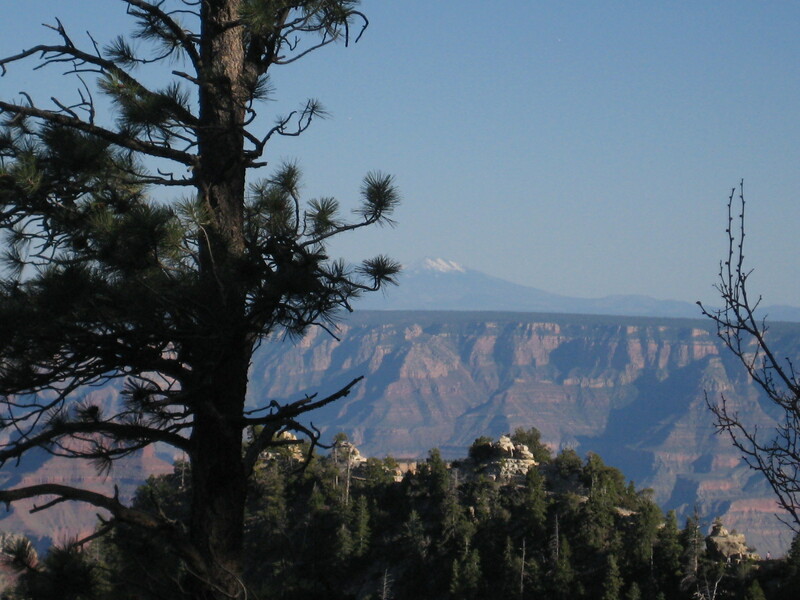 The above sign, staked in multiple locations around the main North Rim parking lot, was fundamentally at odds with our game plan–which was fundamentally at odds with the warning posted in multiple locations on the Grand Canyon website. 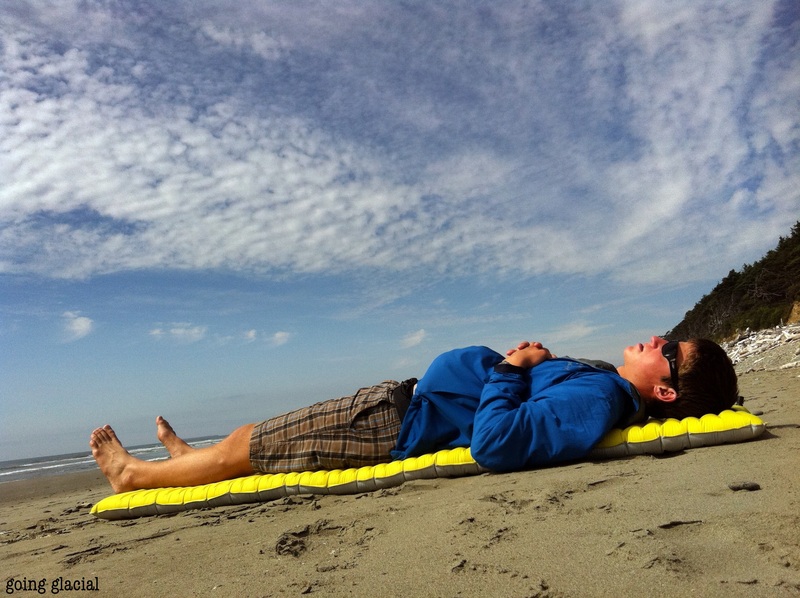 When I write that we had determined to go big, I mean to say that we planned to sleep for a few short hours in the car (why waste time, energy, and resources on camping? 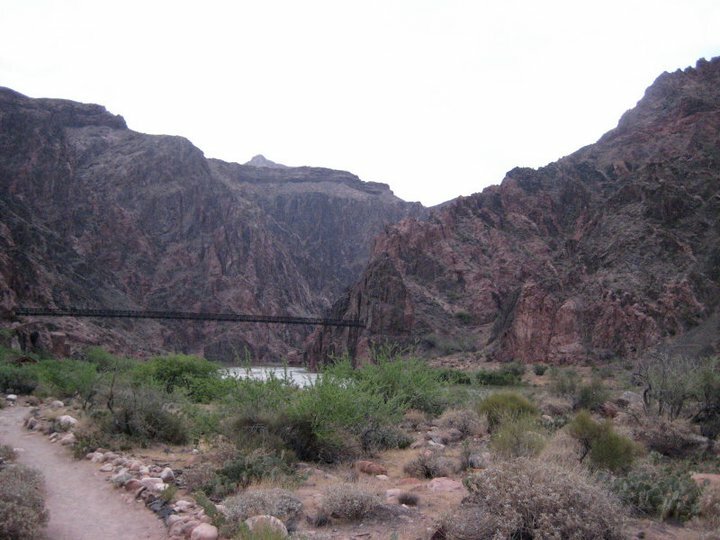 ), to rise at 12:45 a.m., and to begin the taboo 30+ mile to the Colorado River and back in the extreme dark of night. “Car-camping…minus the camping. 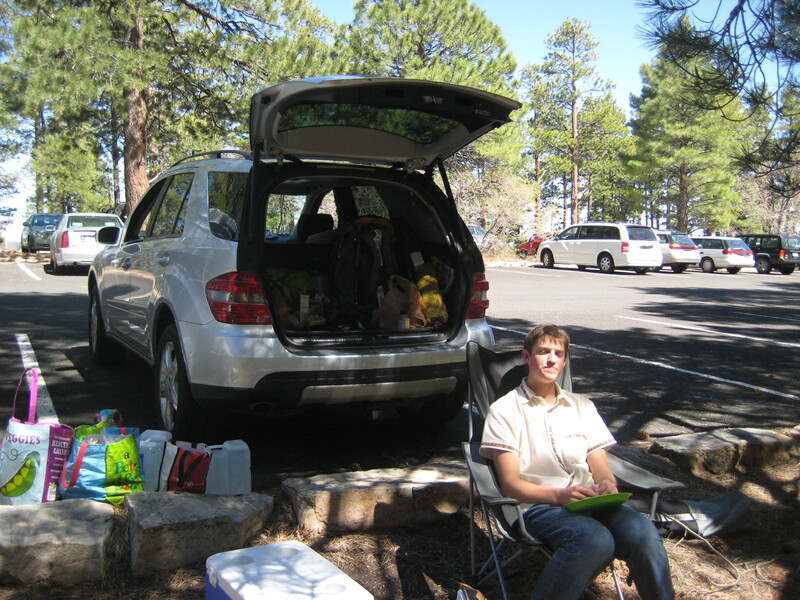 So really just ‘car’.” We thus relocated our caravan to the North Kaibab Trailhead parking lot, where we set up camp behind the trunk of the car. Stoked on the MSR WhisperLight stove that he had procured for cheap in Central America, SK took the reins of our curbside kitchen, and set to work boiling some water. As SK tended to the pasta and I chopped pepper-crusted sausage and avocados (the exorbitant calories would surely equate to extra love on the trail a few hours later), National Park Service vehicles entered and exited the parking lot at least five times. Upon some quick scoping, I realized that we were tailgating–and preparing to bum–in a parking lot located adjacent to the ranger headquarters. An added challenge? Sure. After placing our dirty pots, pans, bowls, and utensils into a plastic bag and tossing said bag carelessly into the trunk, we climbed into the same seats in which we had already spent a significant chunk of our day. In anticipation of some ranger snooping in hot pursuit of parking lot sign violators such as ourselves, we cunningly spread our sunshade across the windshield, and fully reclined our plush car seats. It was time for some shut-eye, however limited by our surroundings. SK articulated our insanity quite aptly upon our uncomfortable reveille at 12:45 a.m.: “Are we freaks?” To which I responded: “Well, yes, of course.” As our alarms sounded jarringly from the center console, we had each been enjoying some quality REM sleep. But it was go-time, and we reluctantly traded our dreams for personal battles against the midnight chill of the windswept parking lot and the breakfast spread that we had assembled in the trunk prior to bedtime: for each adventurer, a peanut butter Clif Builder Bar (20 grams of protein? yes, please! 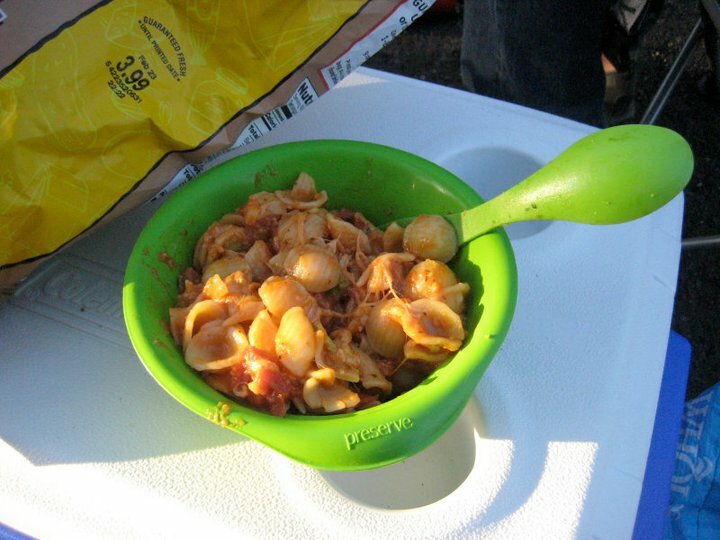 ), two bananas, half of a Nalgene of water, and a packet of Emergen-C. Needless to say, we were still digesting our dinner feast of orecchiette with tomato sauce, mozzarella cheese, sausage, and avocado, and we felt like cows chewing cud as we stomached some instant energy. 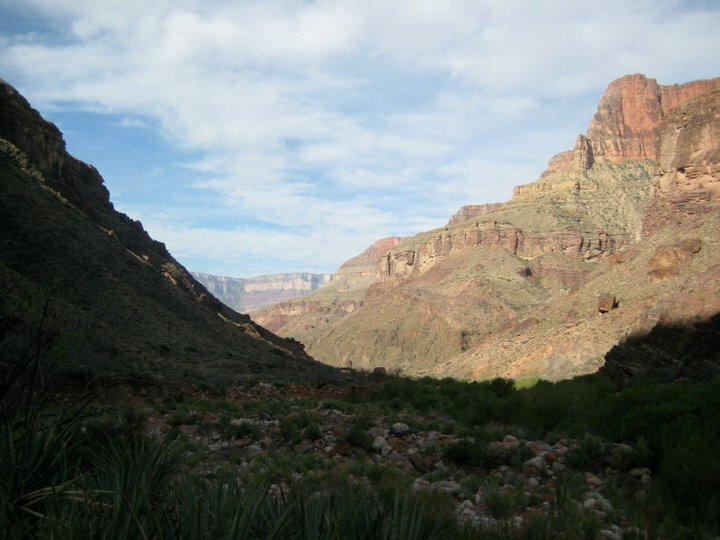 Oh yeah…the Grand Canyon was humbling in its craggy splendor. I felt compelled to consciously remind myself of my surroundings along the way, lest my exhaustion overshadow the grand beauty. Somewhere in the pictured vicinity, I announced to SK that I would be taking a siesta under the shade of some shrubbery upon arriving at the Cottonwood Campground, our projected lunch location. Lunchtime lunacy. I arrived at the Cottonwood Campground for lunch at about 9:00 a.m. to find SK stealing some horizontal time on a lovely wooden bench…despite his previous strong words about my ambitious napping plans. Eating is quite a holy experience in our family, but on this particular occasion, SK and I were uncharacteristically doleful about the gastronomical challenge that presented itself: somehow stomaching peanut butter and banana sandwiches and/or tortillas oozing with Nutella. We did the damage that we could muster, and after exchanging some pleasantries with passersby (all of whom thought that we were complete lunatics), we set out for the “final” haul: ~9 miles and 5,000 vertical feet of ascent. With less of a vengeance than we would have preferred, we started the uphill slog, and agreed to meet next at a flat spot near a span bridge where we had heard a man snoring loudly at 3:30 a.m. 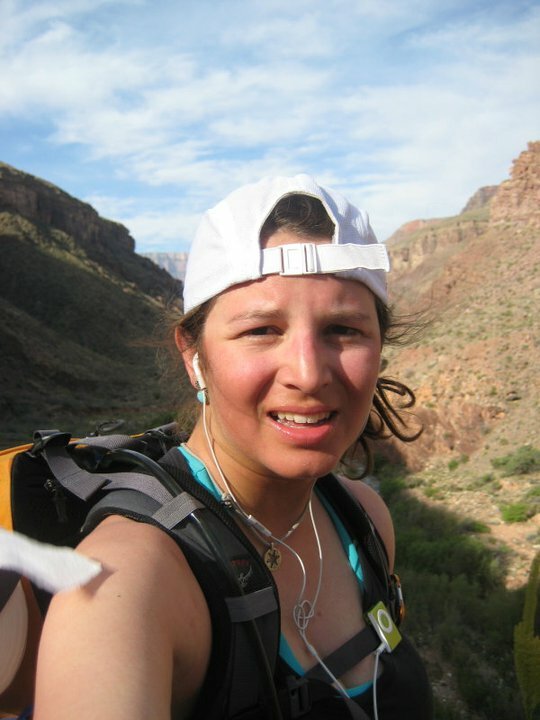 The face of pain and commitment: earning the ice cream and salt fest that would soon follow. At our final checkpoint, SK and I groaned loudly, gagged on the raspberry Clif Shots that I insisted we consume, and cranked up some tunes (desperate times call for desperate measures). While SK woefully reported that he had narrowly dodged a surprise rockfall a few hundred yards prior, I shared some less-than-coherent thoughts about what I perceived to be a quasi-competitive spirit on the trail. 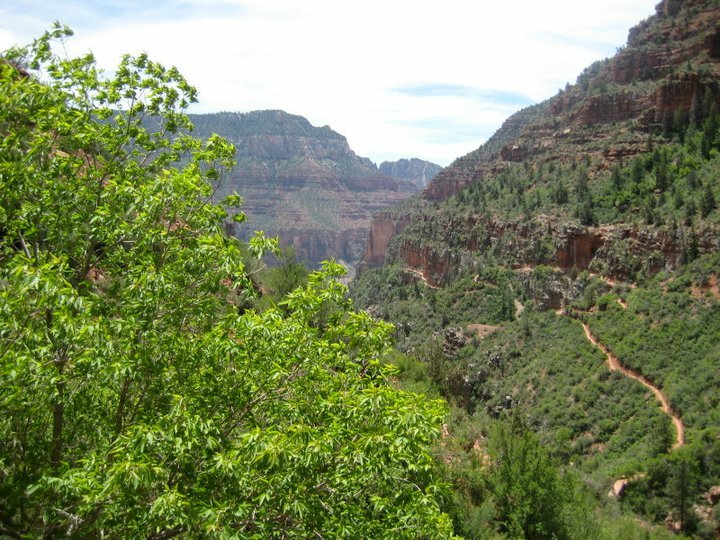 The North Kaibab Trail as seen from the FINAL “final” climb, during which I was passed by a gentleman in a Canadian tuxedo (jeans on jeans) and another in jorts (those would be cut-off jean shorts). I was clearly full of life and energy. As I mounted the final knoll leading to the all-too-familiar parking lot, I spotted SK grinning unabashedly in my direction. Against my initial instinct to shed a few tears of unbridled joy, I instead gave myself a once-over: Gatorade residue on face and arms? Checks. Clif Shot (like Gu) on face and chest? Check. Salt encrusting my body from head to toe? Check. A few salty, sweaty smiles and hugs later, we tossed our tired packs in the backseat, and sped off to the north–determined to be eating a certain pasta, sausage, and avocado dish in our Alta kitchen by 9:30 p.m. Now that was crazy. Total hours away from Alta: 38. Total hours in the car: 14. Total hours on the trail: 12. Total feet of vertical ascent: 7,300. Total feet of vertical descent: 7,300. Toes amputated: 0…but that was a close call. Liters of water consumed per person: 8. Varieties of Clif products consumed: 3. Number of “real” food items consumed: 0. 1) If you would like to chat with SK about the rationale behind this plan and its execution, please let me know, and I will direct your inquiries to him. 2) Heed the word of the National Park Service. Do not attempt to hike to the river and back in one day!